A dynamic duo of glass care products that can keep both sides of your windshield looking clear this winter. These sprays--one for the outside of the windshield and another for the inside glass--work wonders at keeping your glass transparent during the coldest months of the year. 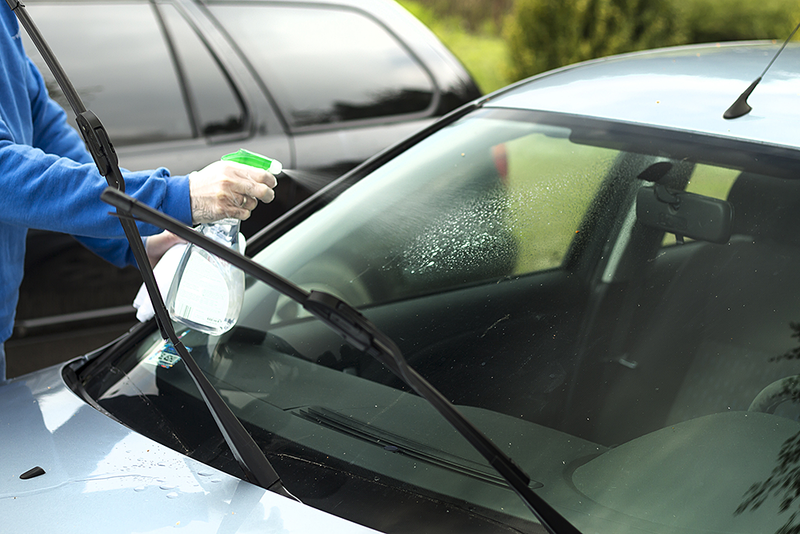 Rain repellents, applied to the windshield’s exterior, are hydrophobic compounds. This causes water to bead on the glass and can even slide off the glass at highway speeds. Anti-fog products, used on the interior windshield, speed up evaporation and combat haze that may be related to temperature changes inside the car. Apply an anti-fog product with a terry cloth or microfiber towel. Apply directly on the towel, rather than to the glass itself and make sure to wipe the surface dry so there’s no residual haze. If any haze appears due to excess application, sprinkle with water and wipe with a dry cloth or paper towel until clear. The climate control system helps reduce moisture inside the cabin, especially in climates with high humidity. The system will help the anti-fogging solution clear glass surfaces faster. Avoid getting window treatment products on rubber surfaces. They contain alcohol, which can cause rubber to dry or crack.